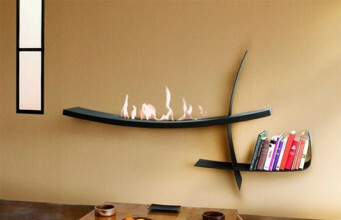 Bio fireplace is modern accessory of minimalistic interior. However, because of a small apartment we shouldn’t give up our dreams of having elegance fireplace, cheering us during grey, long, autumn and winter evenings. 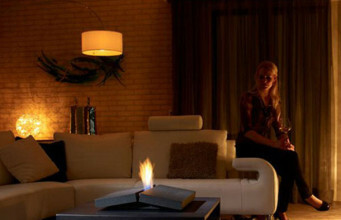 The problem could be solved by buying bio fireplace, matched to the interior of living room or private office. 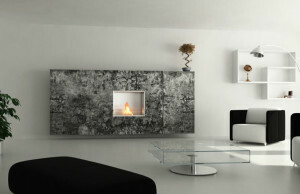 Model Easy Heat by brand Cera adds exclusivity not only modern interiors in a little bit roundabout manner. This model reminds classical appearance of lantern or small lamp. 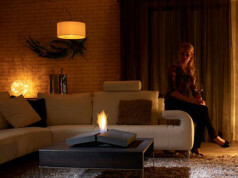 Free-standing Easy Heat bioethanol fireplace is a combination of functionality and unique design, and matches perfectly into aesthetic of contemporaneity. 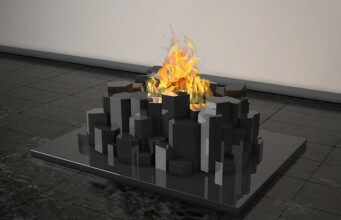 Universal shape and glass relevantly affect on appropriate lighting of the place, not only due to glow coming from fire. 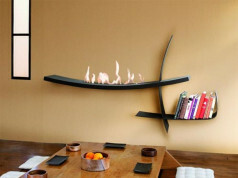 Due to considered profiling, simple form and small sizes bio fireplace does not occupy much space. Sitting with friends near Easy Heat with a cup of fresh roasted coffee or delicious tea will turn out to be unspeakable pleasure. Easy Heat is a model made of steel, stainless steel, glass-ceramic material and high heat-resistant borosilicate glass. 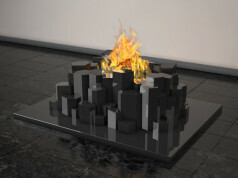 Bio fireplace could be placed anywhere and could be also replaced in a flash of inspiration. It does not need additional chimney-ventilation system, however, we should remember about frequent airing of a room. 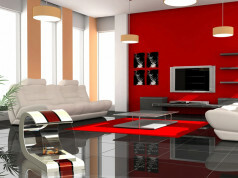 It is undeniably strongly outstanding interior element, that emphasizes aesthetic virtues of interior and decoration. 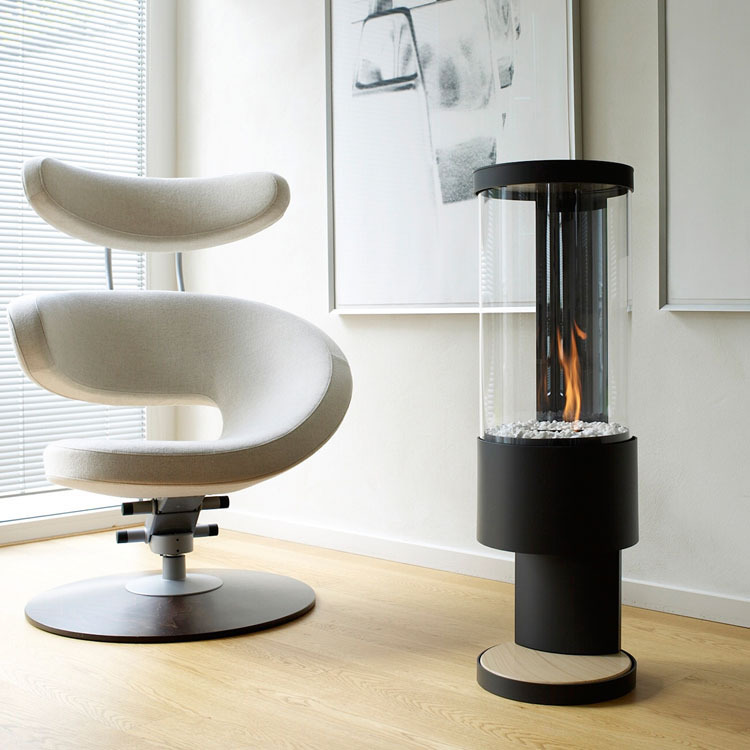 According to the instruction of manufacturer, the bio fireplace is burnt with bioethanol, which is numbered among the especially safe fuels. 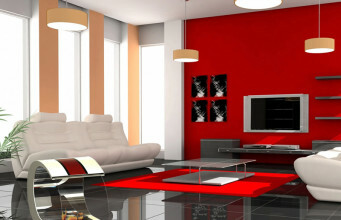 In that way, it fulfils the most important guidelines, which are respectable by every user, who care about the ecology.